Most of us would be RICH, right? Okay, literally, guys: wouldn’t you LOVE to earn money every time you use your phone? Ok yeah, no one’s going to pay you to text your friends or read your Facebook feed, but you CAN make money on your phone—for real. To be totally honest, you’re probably not going to make enough money to just up and quit your day job…BUT, if you’re going to be on the phone anyway…when you’re standing in line, waiting for an appointment, or riding the bus…then you might as well get paid, right? It's true! 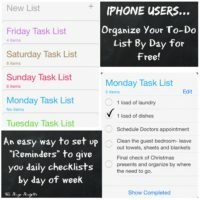 There are some really awesome apps out there that will pay you for things you’re already doing on your phone. So, you won't have to do a bunch of extra activities, SPAM your friends, or spend all day on your phone to earn extra money. There are survey apps that pay you, games you can download to earn, and other apps that pay you for shopping (for things already on your grocery list). It’s easy! One thing I have to say: there are a lot of junk apps out there that won’t really pay out or that encourage you to buy things you don’t need. Some require a bunch of extra time and effort. These are NOT great ways to earn money on your smartphone—you could probably find much better ways to use your time and energy to make money. Be selective and read reviews! Don’t just download every app that comes your way. 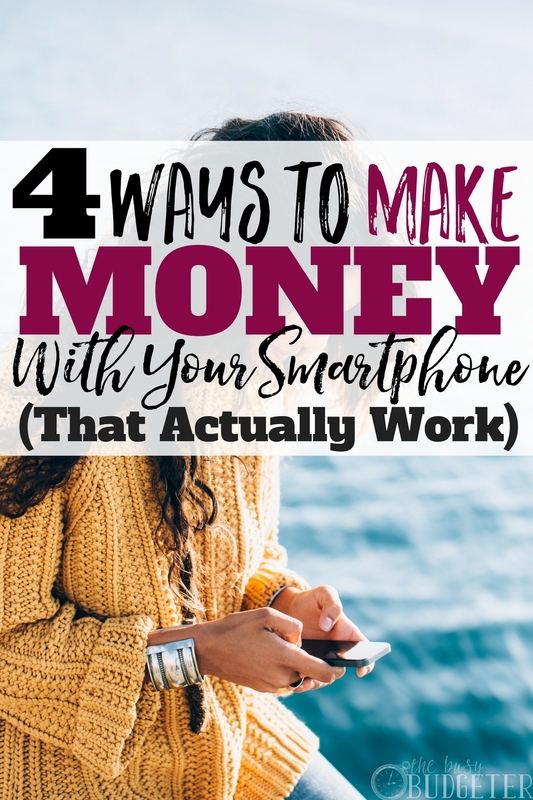 So without further ado, here are 4 ways to make money with your smartphone that actually work! It’s so easy to waste time mindlessly surfing the Web and scrolling though social media. Why not earn some extra cash while your scrolling finger gets a workout? These days, Swagbucks is probably one of the most popular apps around. (Check out my honest Swagbucks review here.) You earn “SBs” by shopping, watching videos, and answering surveys–all of which you can redeem for gift cards or PayPal cash. Their members have earned over $185 million, so you know they’re doing something right! On this app, you earn points by taking quick surveys, playing games, and interacting with ads. Each completed activity gets you “coins” which you can redeem for PayPal cash after you reach a certain amount. This is another app that encourages you to view news, articles, product deals, and reviews, as well as watch ads to earn points. You can even earn bonus points for downloading free apps. The more points you accumulate, the more PayPal cash, gift cards, or coupons you can redeem. Nice! Shopkick pays you for spending time in certain stores you probably already shop at! Seriously. Scan barcodes and get points you can redeem for gift cards to your favorite stores. You can’t trade your points for cash, but you’ll definitely be saving cash by earning gift cards you can use to do the shopping you’d already be doing! Similar to Ibotta, Receipt Hog pays you to shop. You take a picture of your receipt from any store, play a few point-winning games and paid surveys, and then redeem your points for gift cards or PayPal cash. It’s so easy and most of the items are things you’d already be buying anyway! After creating an account, take pictures of designer and brand-name clothing and immediately post them for sale–in LESS than a minute. There’s SO little hassle involved, it’s crazy. Poshmark keeps 20% of the selling price and the rest is yours! Poshmark is also a marketplace where you can buy AND sell, so go ahead and browse around–you might find a killer deal for up to 70% off retail price. Depop is really similar to Poshmark—you just snap and sell. They retain a 10% fee on all sales, but you’re not limited to just clothes. You can sell accessories, collectibles, and other fun items. Depop is geared to a younger, social-media-savvy audience, so many sellers “model” the clothes (think selfies), but it’s not necessary. Instagrammers use Depop for flash sales. A “mobile Craigslist” of sorts, letgo is a community where you can buy and sell used items. Sellers keep 100% of the sale and there’s no shipping fees because exchanges are made in-person. It’s super easy to post items and you can browse similar items in different areas to gauge prices. Since this platform promotes in-person exchanges, you might want to check out their safety guidelines to keep yourself out of harm’s way. eBay’s mobile selling platform has greatly advanced since eBay began so many years ago. Sign up for an account, post items for sale, and wait for customers to bid. Simple, fast, easy to use, and an effective way to clean out your home and get rid of all that crud you don't use. 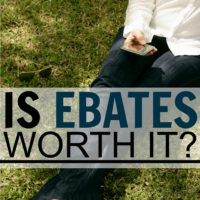 If you dread the thought of keeping up your seller score and giving feedback on eBay (or all the trips to the post office), you can also try their eBay valet service, where (for a fee) they do ALL the work FOR you for a percentage of the sale. If playing games on your phone is your thing (and I totally get that it's not for everyone), then why not double your fun by making money while you play? Check out these great game apps that pay you to play. In this app, all you do is spin a wheel to win money! You pick a color (blue or yellow) and spin. You can win any amount, from 5 cents to $10 in a spin. After you run out of free spins, watch some short ads to get more spins. You can cash out with PayPal cash after you reach $25. A bonus? Qriket has QriketLive events where you can earn real-time cash prizes up to $100. You can also get spin codes every day by following Qriket creators on social media. 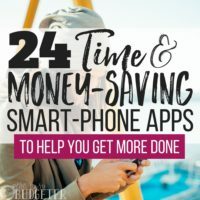 Whether it’s playing games, shopping, or filling out surveys, there are a bunch of ways to make money with your smartphone and most of them are really easy. Will you get rich? Um…no, but you’ll save a little and it’s more productive than just surfing around or reading comments on other people’s Facebook posts! So the next time you have some free time, get your smartphone to start working for you! Earn money from apps and have some fun in the process! What about you? What are your favorite apps and ways to earn money on your phone? I used Poshmark for the first time a couple of weeks ago. It was easy to use and I opted for them to send me a check and that was fast too. Another one I keep hearing about and plan to try for clothing is Mercari. Getting rid of clothes clutter and making some extra money is a win-win! Need to try out some others you mentioned, thanks for sharing! I love Mercari. I buy alot of items off there! Thanks for sharing this because before I just heard to make money with smartphones but now I will use Ibotta. Thanks for advising me. That’s a cool list of ways to make money from smartphones. I’ve tried SwagBucks before but it didn’t work as expected for me. Would give it a try again. Thanks for sharing. Wow, It’s really cool! i was not any idea about that apps. Thank you for sharing this valuable content. Thanks for sharing these. 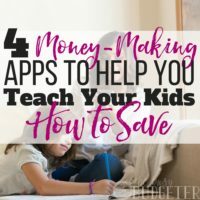 I’m still a relative novice when it comes to money making apps, but I know that many people love phone apps, so I wanted to do a post on this topic for my blog and came across a lady that was making a regular side income each month using just 2 money making apps. She wrote a guest post for me detailing how she does it. i couldn’t believe how easy it was!